The frangipani is a tall fast growing native evergreen rainforest tree. 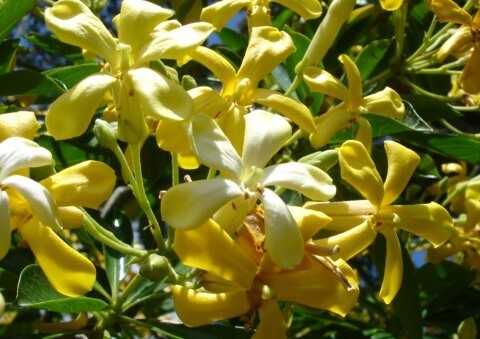 It is well known for it’s fragrantly scented tubular shaped yellow flowers and dark green glossy oval shaped leaves. This is a bird attracting tree which flowers in Spring and Summer. It performs best in full sun and well drained soil but can also grow in shade.